We hope again to welcome anyone with an interest in heritage matters to our Annual Meeting, this year held under the auspices of the 2018 European Year of Cultural Heritage. To this end, please use the link below to access details of the Programme and (alternate) euro and sterling Registration Forms. I should be grateful if you could complete and return the appropriate Registration Form by 15th August. Major attractions are Dame Fiona Reynolds, Master of Emmanuel College, Cambridge, and former Director-General of the National Trust, who will give our Duncan-Sandys Lecture, and our one-day conference on the theme of ‘European Historic Universities as World Heritage Sites’. 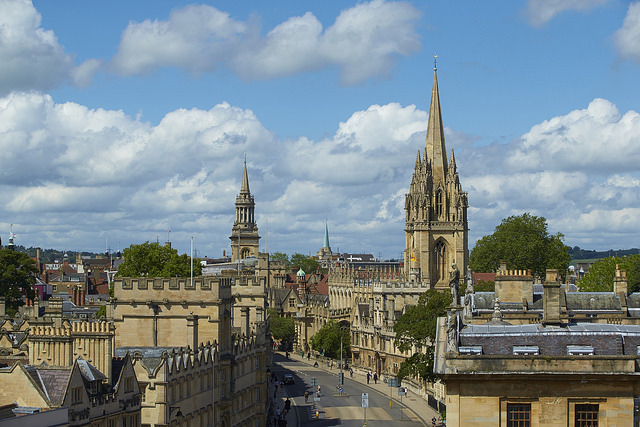 There will also be a ‘special’ tour of Oxford University buildings and an outing to the Blenheim Palace World Heritage Site. We will be based in St Edmund Hall, one of the colleges of the University. If there is space in your diary, we invite you to fill it this way! We look forward to seeing you.